The yachtworld listing is still in the works with Integrity yacht sales, but George Sabo will be happy to hear from anyone that's interested. I've been upgrading her since 2005, and a lot of her systems are new. 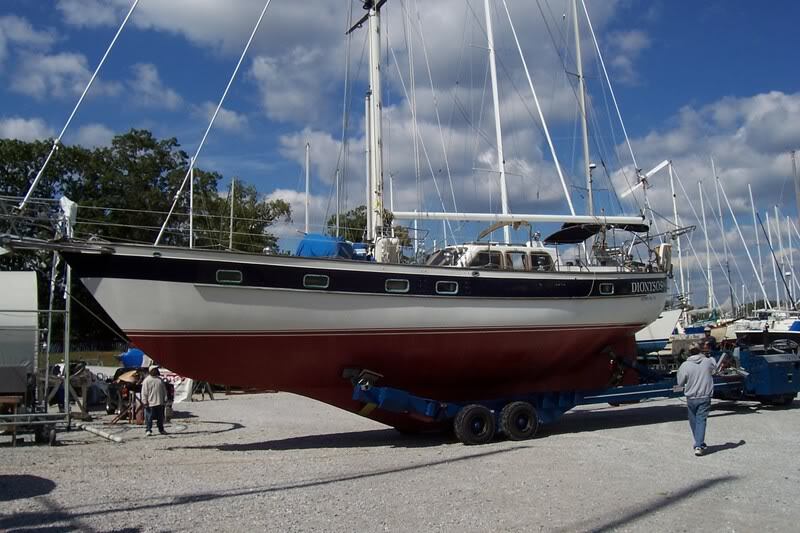 Fuel tanks, engine, running gear, generator, Air conditioning, standing rigging, sails, canvas, radar, AGMs, Charger etc. She's a thoroughbred cruiser, beautiful classic lines that will turn heads anywhere, enough mass to be strong and sea kindly, and enough canvas to move fast. Everything is designed with safety and comfort in mind. 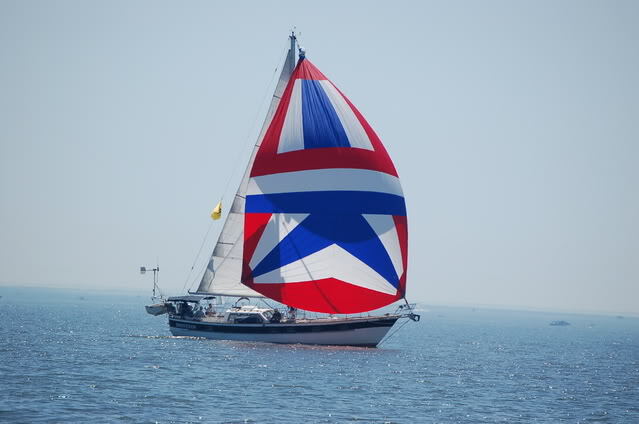 I've personally had this boat moving 13-15 kts.....under bare poles. I can't recommend going that fast in her, but if the wind is there she'll do it. For those who are smarter than I was when I did it, there is now a Jordan Series drogue included with the boat :mrgreen: There's an AB RIB with a Mercury 9.9 on the davits, redundant self steering, big AGM batteries, and everything else you'll need to go galavanting off into the sunset. I looked up the brand "Zombie", and all of the variants, but could not find it. What make is she? 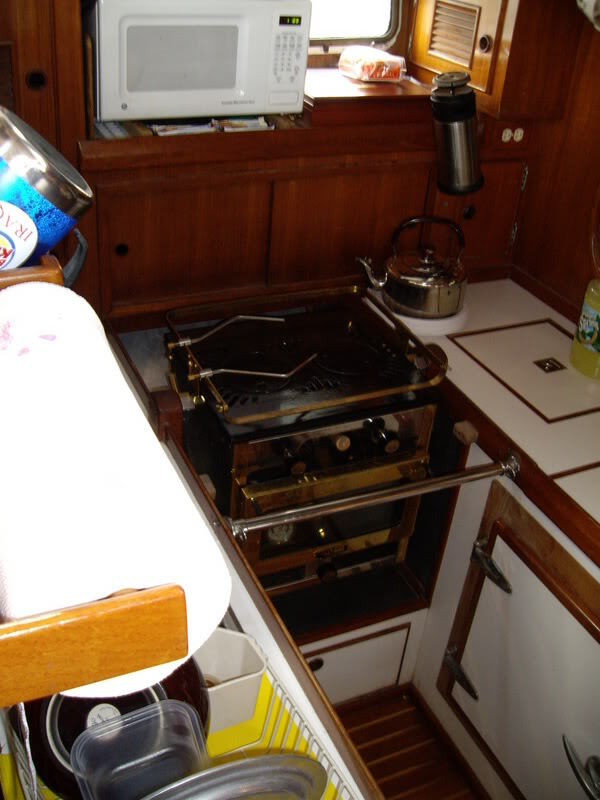 Seriously, if you are going to list a "funny" listing, at least get serious at some point and give us some specs - especially when you have a boat with teak decks. 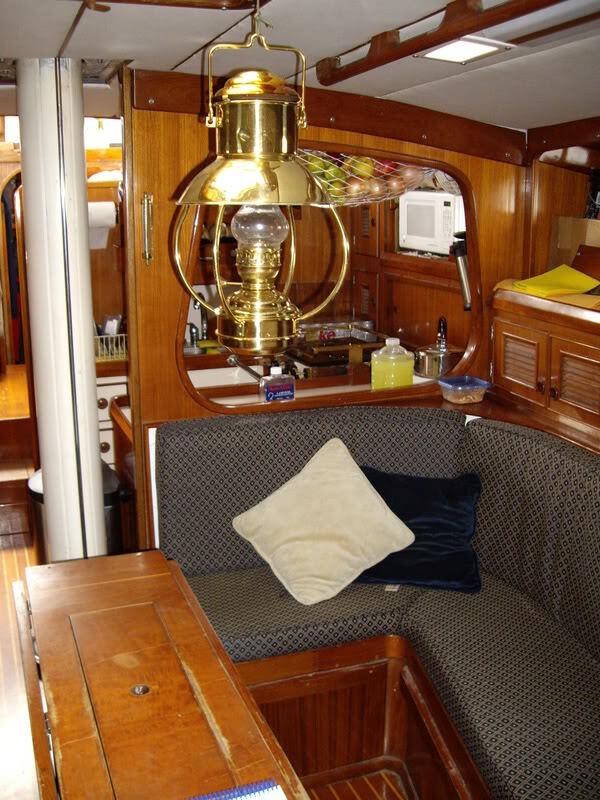 She's a Pan Oceanic 46, Ted Brewer designed, 1986 vintage. 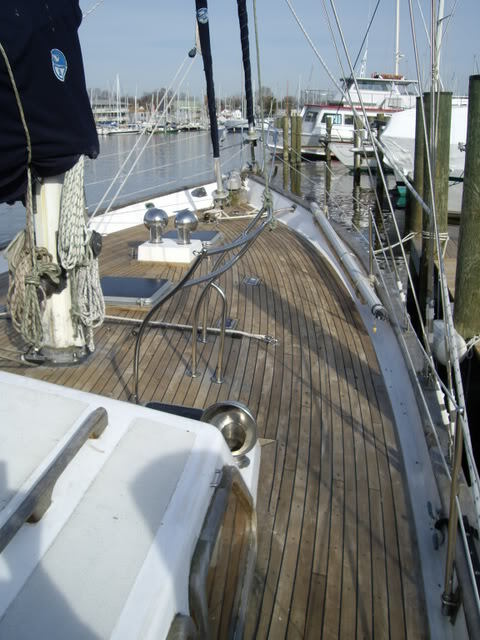 Decks have good wood remaining but need caulking and cleaning. Constructed in Taiwan, Delivered to east coast on her own bottom. She's been everywhere and is more sea worthy than I am. Oh yeah, the layout is changed a bit from the stock PO46. 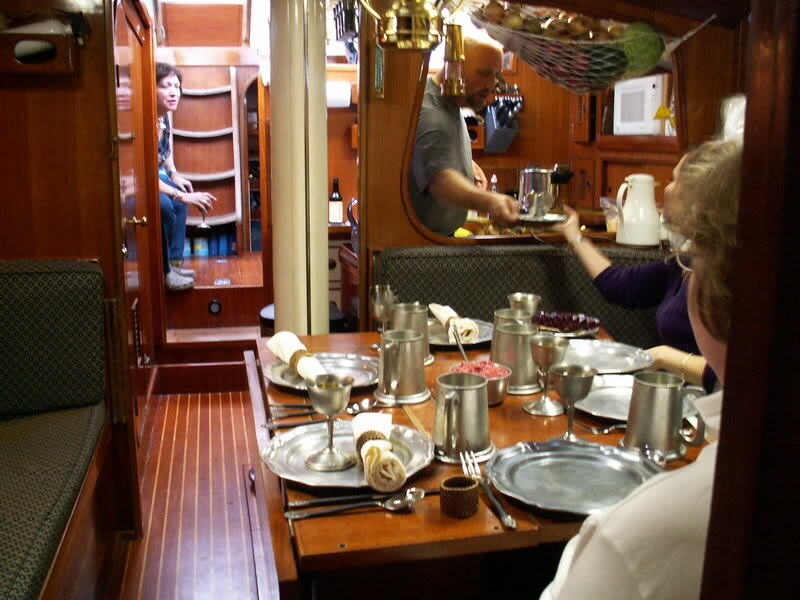 Belkov Yachts in Annapolis opened up the wall between the pilothouse and the galley. It makes the whole interior feel a lot more open. 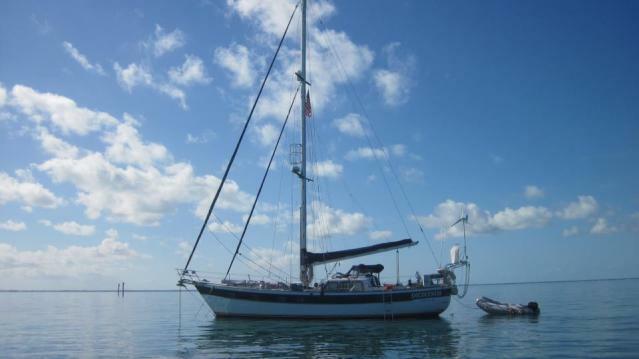 Had many a fine beer on Hals boat in the Bahamas. Good to see you here! How goes the cruise? Escape??? Don't you realize how long some people have been patiently waiting for it to be open season on zombies?? I thought the zombie apocalypse was cancelled? Onwards, onwards. Heading south in the Caribbean. Two friends arrive in two weeks so that will be fun. St Bart's Bucket is next week so all the worlds biggest sailing boats are here, Maltese Falcon arrived yesterday... I can see it from here. Great times!